Happy holiday season everyone! Christmas is less than two weeks away and I am in full on preparing mode. For the past four years I've been busy with finals until right before Christmas and never had time to do many festive things. This year I was able to help decorate the tree and house, bake cookies, send out cards (okay, I'm still working on this one), and do a couple craft projects. Full disclosure: I am not a Martha Stewart type. But I sure try. 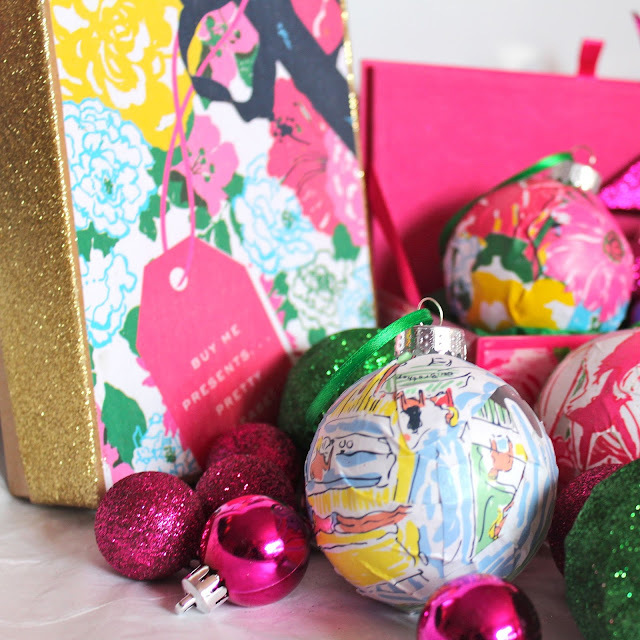 I decided I wanted to decorate my mini tree with a preppy theme. Of course I need some Lilly bulbs. 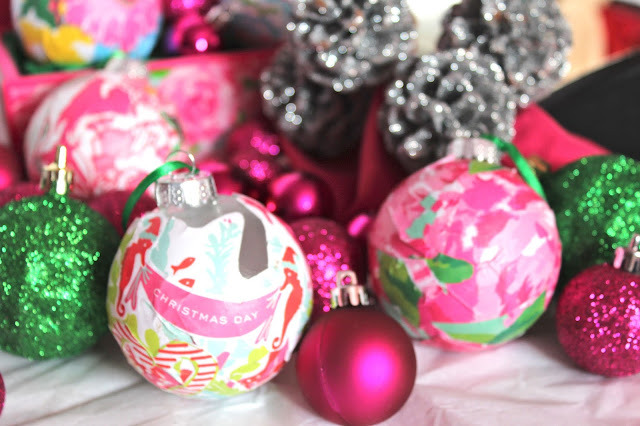 Instead of spending hundreds of dollars tracking down limited edition ornaments made by Lilly Pulitzer I decided to Mod Podge my own with glass bulbs I bought at Marshall's and paper from my old Lilly agendas. This was my first Mod Podge project and I was a little nervous the bulbs wouldn't turn out well. The project was much easier than I ever imagined. I was really happy with the finished product so I wanted to share them with you before I put them on the tree. I also Mod Podged a couple old Birch Box boxes with December agenda pages and gold glitter on the edge. I thought it was cute and perfect for storing left over Christmas cards or gift tags. I am excited to do some more Mod Podge crafts! 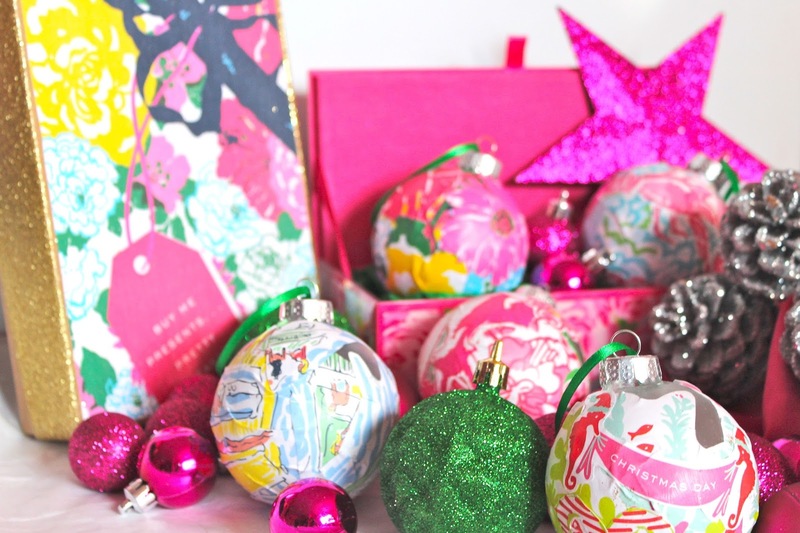 What are some crafts you've done this holiday season? I hope you all are having a very merry Christmas!